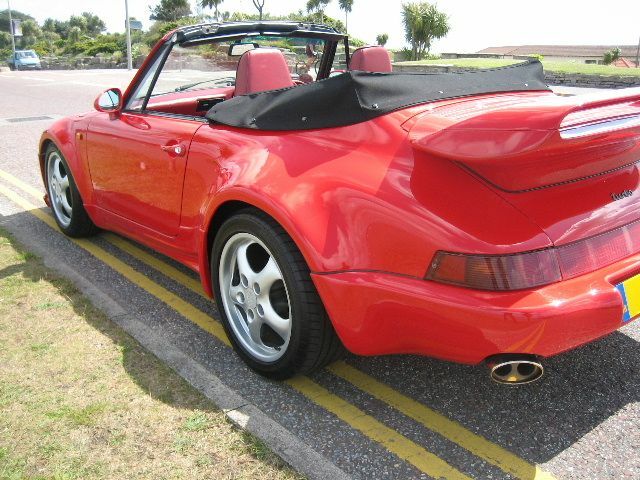 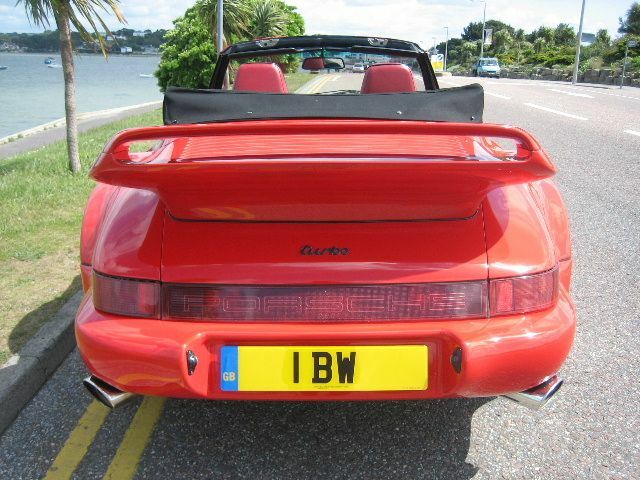 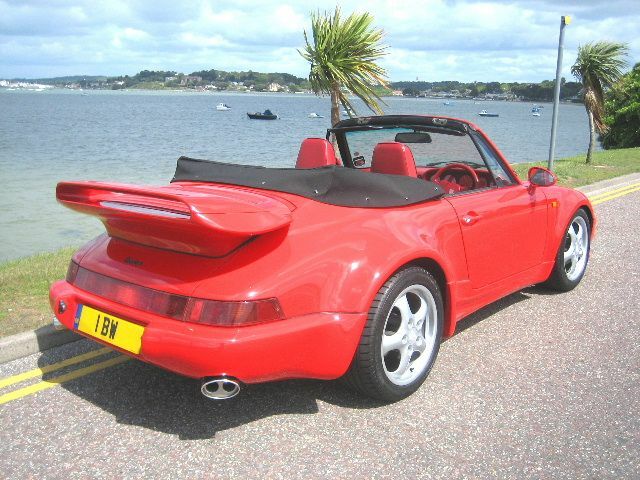 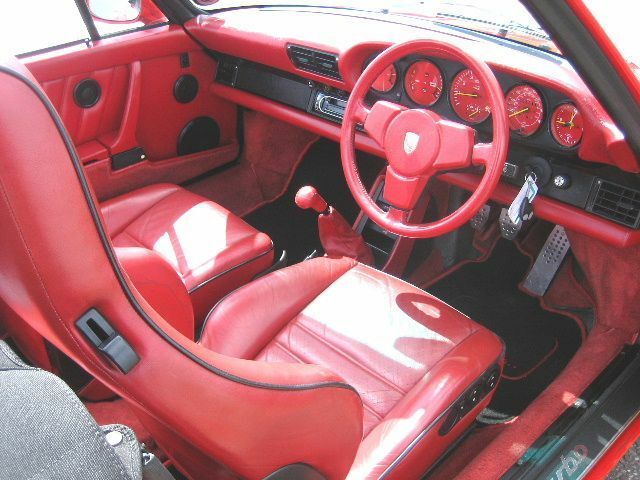 PORSCHE 911 Cabriolet, 2 Doors, 1986, 53,000 miles, Gaurds Red. 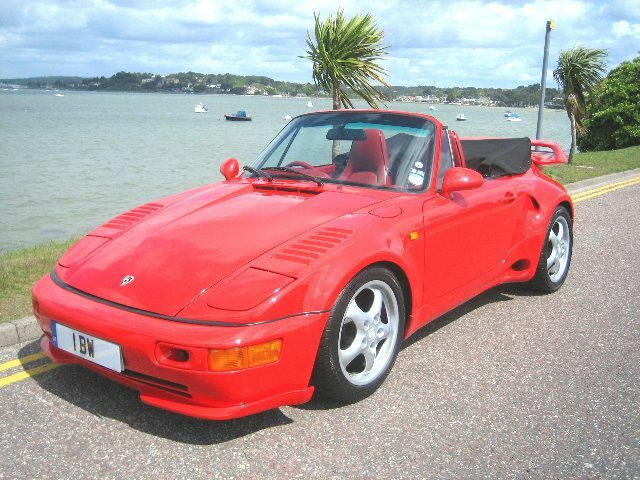 Original Factory Flatnose 930 3.3 Turbo,Probably one of the rarest Porsche'Supercars'ever built,Frighteningly quick,aggressive stance and presence.Monster spec inc:Re-worked body/biplane,Cup alloys,2 Stainless steel exhaust systems (1 slightley louder),G50 5-Speed Gearbox,Full Red Leather Seats/Carpets/Dash/Dials,Black piping,Sony R/C Headunit with Kenwood Amp and 10 Stack CD Multi-changer,Tracker GPS security system,Cobra Cat 1 Keyless entry alarm/immobiliser plus another Cobra manual default immobiliser,Brand new mohair hood/Tonneau and Bikini Top,Private Reg plate (B4 YUW ),Electric heated seats,electric windows/mirrors,Air conditioning,Teardrop mirrors,Lovely history file with a big sheath of main dealer invoices inc bills in excess of £20,000 spent in last 2000 miles ! 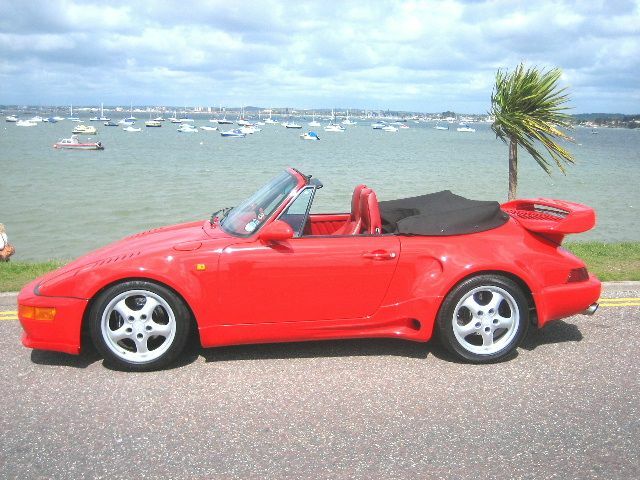 Please call me for more details as there is too much info to list.